A recent meta-analysis has found that treatments for tennis elbow do not provide many benefits. According to the ANI report, the study appears in the American Journal of Sports Medicine. The painful condition results from overuse of the tendons in the forearm, typically in a patient’s dominant arm. A repetitive stress injury, tennis elbow affects not just athletes, but also tradesmen, food industry workers, manufacturers and office workers – anyone who uses the hands and wrists for hours each day. In the largest analysis to date, researchers and clinicians at Beth Israel Deaconess Medical Center (BIDMC) have compared the efficacy and safety of non-surgical treatment options for tennis elbow – also called enthesopathy of the extensor carpi radialis brevis (eECRB). The meta-analysis reveals that none of the 11 non-surgical treatment options – including physical therapy, acupuncture, oral anti-inflammatory medications, local botulinum toxin injection therapy, ultrasound, laser therapy and more – performed significantly better than placebo in addressing patients’ pain and that all increased patients’ odds of adverse events. Ara Nazarian, who was part of the study reportedly said that all 11 treatment options provided only small pain relief while increasing the odds of adverse events. More than 90 per cent of the patients’ given placebo experienced pain resolution after four weeks. Nazarian and colleagues analyzed findings from 2,746 participants in 36 randomized, placebo-controlled studies evaluating 11 non-surgical treatment options for tennis elbow. The team looked at the treatments’ effects on pain and grip strength at within four weeks of diagnosis, between five and 26 weeks after diagnosis, and more than 26 weeks after diagnosis. Only studies in which treatments given as placebo (such as saline-filled injections, inactive sugar pills or inactivated therapeutic devices) were included in the analysis – those in which placebo was defined as no treatment or “watchful waiting” were excluded. The team found that 99 per cent of patients receiving only placebo reported little to no pain by 26 weeks after diagnosis. Next, using a meta-analysis method that allowed head-to-head comparison across treatments, Nazarian’s team found that none of the treatment modalities demonstrated any significant benefit within four weeks of diagnosis. The corresponding author Amin Mohammadi reportedly said that for most patients, tennis elbow is a self-limiting condition. They evaluated almost all of the non-surgical treatments available for tennis elbow and showed that they provide only minimal effect over placebo. 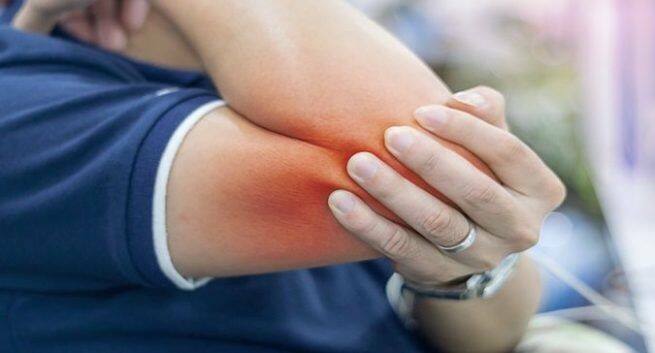 Because almost all patients reported only minimal pain after the first four weeks, clinicians treating patients with tennis elbow may consider opting for a pain relief regimen to manage symptoms on a patient-to-patient basis.